CyberLink PowerDVD is the ultimate universal media player that extends your viewing experience beyond just movies on PCs. Play any media format from any device at home or on social networks, at enhanced HD and 3D quality, all with PowerDVD. PowerDVD is the undisputed choice for all your media needs. Experience all your media in a whole new light whether they are on disc, your PC, Device, Home & Social Cloud. PowerDVD is much more than just a movie player – it’s the perfect universal media player for all your entertainment needs. Play any movie, video or music file or view photos stored locally, online or on other devices all from within the one powerful application. PowerDVD delivers the smoothest movie playback with its optimization for leading CPU/GPU technologies including 2nd generation Intel Core processors, AMD and NVIDIA. Leveraging the full power of your graphics hardware results in superb playback quality and reduced loading on your PC’s own system resources. Intensely Vivid Images: CyberLink's second-generation dynamic video technology (CLEV-2) delivers DVD movies with greater luminance and more natural colors. Smart Video Deinterlacing: Intelligent frame-by-frame analysis produces ultra-smooth DVD playback by eliminating ghosting, feathering, and other elements. Multi-Display Ratios: CyberLink Pano Vision (CLPV) supports both 4:3 and 16:9 DVD content and displays with stretching technology to naturally optimize the display ratio of content with the available monitor. Cinematic Surround Sound: CyberLink Multi-Channel Environment Impression -2 (CLMEI-2) creates a realistic feeling of being at the cinema by expanding 2-channel audio sources into 8-channel audio systems. High-Definition Audio: Creates sound quality better than CD audio. Support for DVD-Audio and DVD-Video delivers extra-crisp 192 KHz, 24 bit stereo audio and 96 KHz, 24 bit sound. Virtual Surround Sound: CyberLink Headphone and CyberLink Virtual Surround let you enjoy a wider sound image and virtual surround experience via two speakers or headphones. DivX Pro: PowerDVD 6 enables the direct playback of files created using DivXR Pro, which improves the level of video compression by 30% more than the original DivX format. Support for all DVD/CD Formats and Variants: DVD-Video, DVD-Audio, DVD+VR, DVD-VR, miniDVD, VCD 2.0 and SVCD. Support for a Broad Range of Media File Formats: Playback a wide variety of media file formats from their HD or directly from a disc including formats such as MPEG-1, MPEG-2, MPEG-2 HD, WMV, WMV-HD, MP3, WAV, DivX Pro, or H.264. With PowerDVD users have comprehensive easy-to-use mouse and keyboard controls for enjoying DVDs. Two new features provide fun ways to enjoy audio: Audio Equalizer Presets adds atmospheric effects to movie or music playback, and Audio Pitch Scaling enhances music while playing Karaoke discs. Other features include: Parental Controls, Dual Subtitles, closed captioning support, angle switching, and Video Bookmarks, among many others. 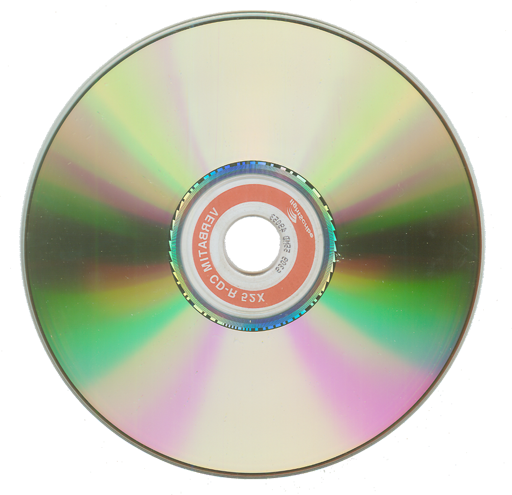 Expandability options including a Mobility Pack allowing road warriors save battery power while watching DVDs via a notebook, and MPEG-4 AVC (H.264) Pack for playing video files compressed using this next-generation DVD standard. ...and more!